I don’t know anything about golf, but I do know these jokes are fun! Have a good weekend. 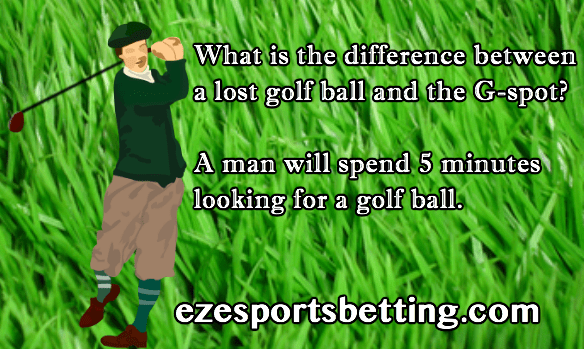 Hey Debbie, welcome to EzeSportsbetting. I’m not a golfing fan but I do love a good joke. So do a lot of my readers which is why I’ve decided to start a sports joke category. It’s the most popular category on Wassupblog.com. Thanks a gain for the visit, and the comment. You’re what we call a grouse sheila.